As “Gloridescence” I define colored clouds in the antisolar area, where there is no visible connection to a glory. 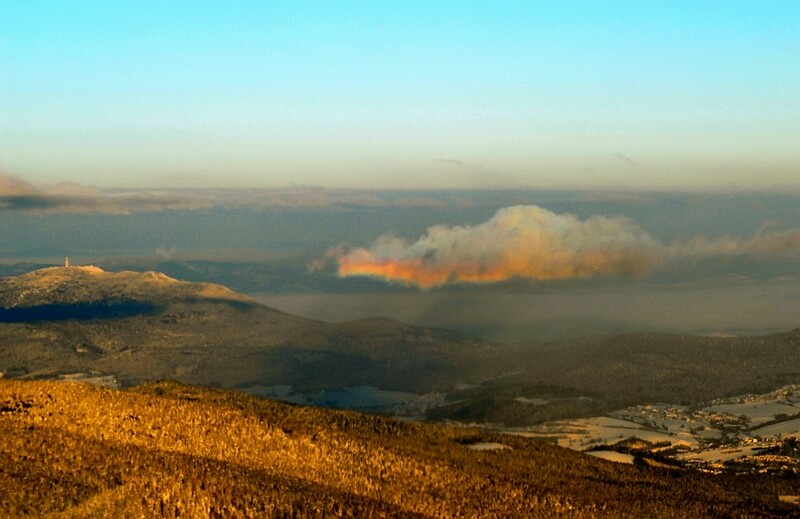 The first observation of colored clouds at the antisolar point was made by Stefan Rubach on Mt. Großer Arber at Jan. 26, 2007. We suspected fragments of a glory, but we were not sure. On Nov. 18, 2007, I made the first observation of my own and on Mar. 1, 2010 my second observation at Mt. Wendelstein (1835m). At Mt. Zugspitze (2963m) I observed these colored clouds a few times and named them „gloridescent clouds“ (and so far no one ever challenged this name). Just as glories become more frequent with increasing observing levels (see this article), the frequency of “Gloridescence” also increases. At lower altitudes (i.e. 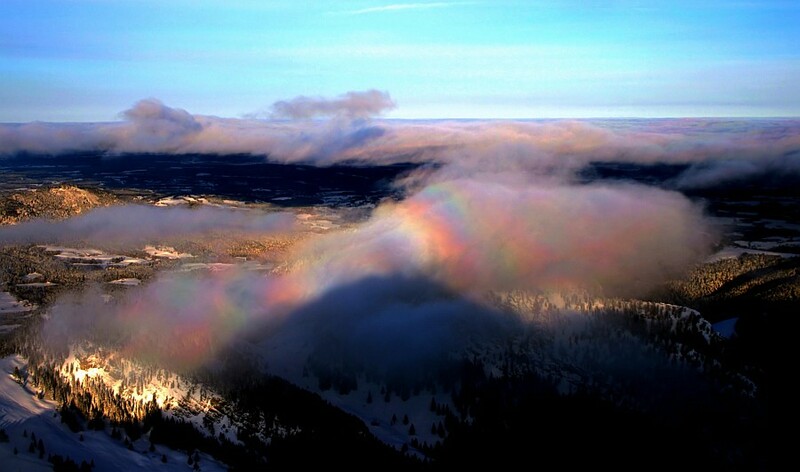 in the area of low clouds), “Gloridescence” originates mainly from underneath of stratocumulus clouds. At higher mountains (e.g. Zugspitze, 2963m) and on airplanes, “gloridescent clouds” are more frequent and appear mainly in deeper cloud layers or single shreds of clouds. Posted on February 27, 2017, in glory and spectre of Brocken, observations and tagged gloridescence, gloridescent clouds, glory. Bookmark the permalink. 2 Comments. Oh, this is the article that I actually meant to post on rather than one similar to this. I spend many hours photographing clouds and have learned a way to capture these colors in the clouds around my home frequently. They are appearing almost daily right now. You can see some of my photos on my Shutterstock page, but I would love to share more and see if they are similar to the Gloridescent clouds – I LOVE that name. Thank you! !